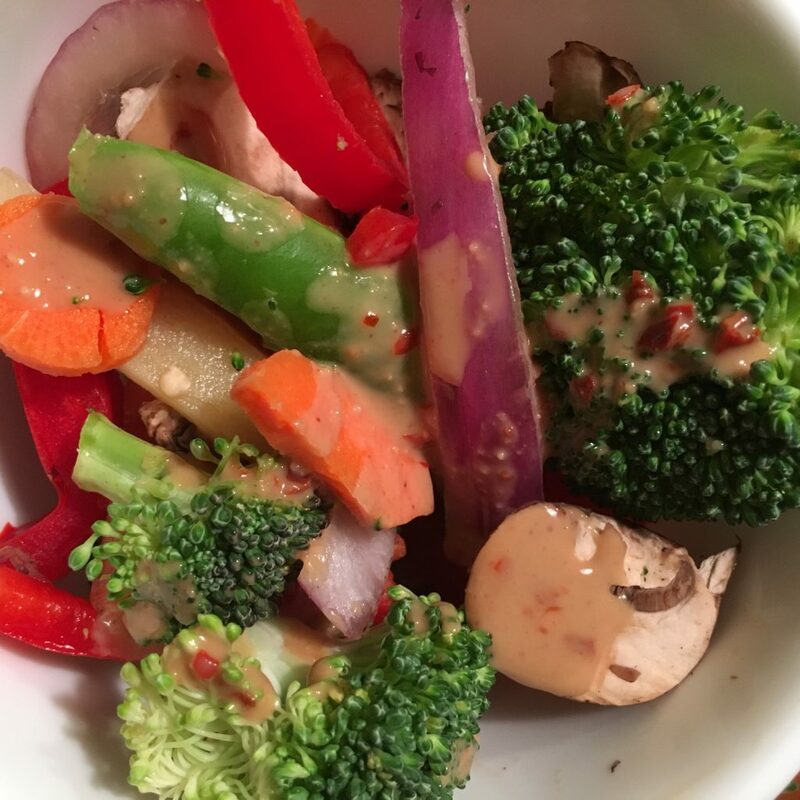 This peanut stir fry sauce can be mild or pack a little kick by adding red chili pepper flakes, which we really love. Throw any fresh chopped veggies in a wok or pan on the stove and add this dressing for a quick and flavorful stir fry. You can even find pre-chopped fresh veggies at many grocery stores. The veggies we used this night happen to be the Trader Joe’s asian blend found in the refrigerated section. Serve over brown rice or cooked quinoa–which also can be found pre-cooked, if desired. Store extra sauce in fridge for additional dishes over the next few days. Loved finding out about potatoes and pasta and refrigeration! Wondering if this makes potato salad, which we love, better because it’s cold, as far as blood sugar? Cooling the potato salad overnight in the refrigerator would be expected to convert the potato to a resistant starch. At least the potato in the salad would be lower glycemic.